This class is a 4 day course for people with good sewing experience, who already have gathered some experience with corsetmaking. You will learn how to draft your own perfectly fitted underbust corset pattern and create a classy black underbust corset to take home with you afterwards. The lessons include taking measurements, drafting a bespoke underbust corset pattern from scratch, getting familiar with, choosing and handling corset materials, making and fitting a mock-up and learning all essential corsetmaking techniques to create your own designs in the future. Small class sizes, a professionally equipped friendly studio environment and personal tuition by Barbara Pesendorfer will make this an exciting and informative experience for anyone who wants to explore the fascinating world of corsetry. 4 days; from 9am - 6pm daily, incl. 1 hour lunch break. The class is split into 2 two-day weekend sessions, to accommodate for people with fulltime jobs. This class will be scheduled on demand. Please email me to get on the waiting list. Once enough people have signed up, I will schedule this class in English language. You should have sewn several garments for yourself and/or other people and you should also have some basic knowledge about wearing and making corsets. 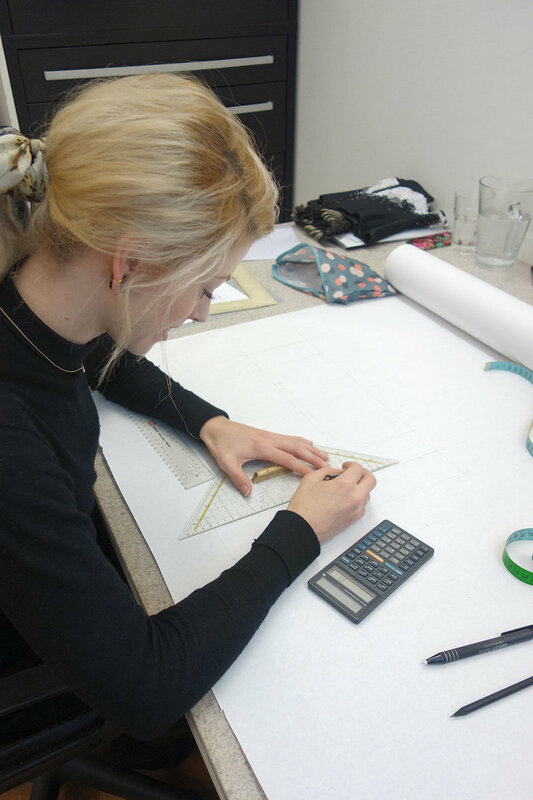 Experience in pattern drafting and making corsets is beneficial to get the most out of this class.